A digi scrapbook page this time for my DT posting today over at My Time To Craft, where the new challenge this week is for 'Domestic Pets', the piccys in this page are of our 18 year old girl who unfortunately died back in the summer, I used Craft Artist 2 software to assemble this and various elements and papers from Diasy Trail. Awwww hun this is gorgeous, what a lovely way to remember her! 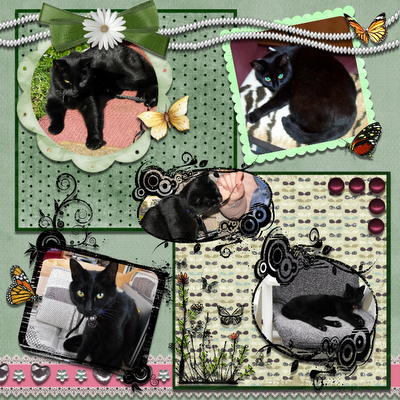 Beautiful layout Wendy, such lovely pictures, a nice lasting memory.